Key marine safety messages have remained fairly standard reflecting both regulatory requirements and handy hints for the boating public. These messages range from information about safety equipment that is needed, general boating checklists, and a range of rules and regulations. To make the best use of our available communication channels and existing platforms, we have produced the first set of short videos and animations which have been made available online. This means external marine related organisations and any of our safety partners are able to use these materials for their staff and clients at any time. One of our animated videos talks about the international navigation rules of the sea. This video was uploaded to Facebook and was shared around the world, provoking great interaction from the public. We will continue to build on this catalogue of material in future years. 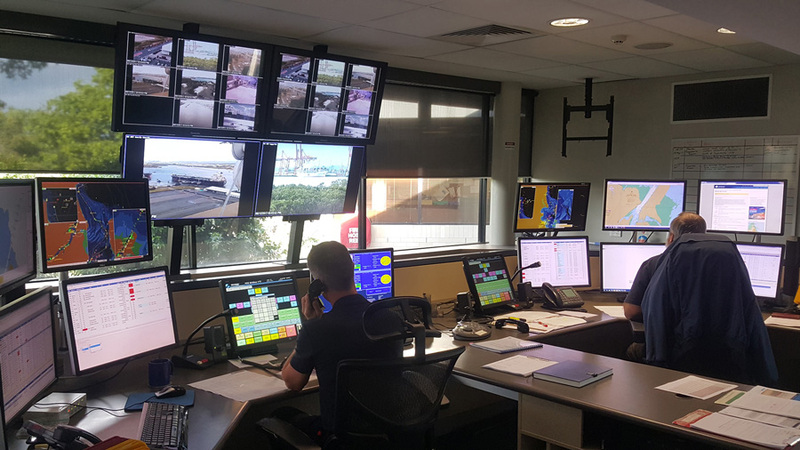 Maritime Safety Queensland operates five vessel traffic centres that track, monitor and assist the safe movement of ships in Queensland ports. We also operate Reef Vessel Traffic System (ReefVTS ), which provides a similar service for the environmentally sensitive waters of the Torres Strait and Great Barrier Reef Marine Park. around 12,000 ship movements in the ReefVTS with all movements conducted safely and without a serious incident. We have commenced a project to update the systems that provide Decision Support Tool (DST) for the vessel traffic centres to track and monitor vessel movements. The new DST will enhance our actions to protect the safety of life at sea and protection of the marine environments, including the world heritage listed Great Barrier Reef. The DST solution will be a key enabler in meeting the government's Reef 2050 Long Term Sustainability Plan target that shipping within the reef is safe, risks are minimised, and incidents are reduced to as close to zero as possible. Annual audits of Responsible Pilotage Entities are conducted in November of each year. The 2016 audit found there were no major non-compliances with the state's legislative and statutory requirements for safe port pilotage. The audit process is a thorough investigation of all aspects of the operation of port pilotage services in Queensland. Some opportunities for improvement were noted and have been acted upon. However, the greatest enhancement to the delivery of safe and reliable port pilotage services in Queensland has been the implementation, from 1 March 2017, of a Continual Professional Development Program for Queensland Port Pilots. This learning and development scheme provides for the targeted training of pilots, based on identified individual needs and corporate and regulatory requirements, and has been endorsed by the Australasian Marine Pilots Institute. In 2016–17, reported marine incidents in Queensland included 11 fatalities. This equated to 4.24 fatalities per 100,000 registered recreational vessels and is not significantly higher than the 10 year average of 3.46 fatalities per 100,000 registered recreational vessels. There were also 37 injuries resulting in hospital admissions. This equated to 14.27 hospital admissions per 10,000 registered recreational vessels and is significantly higher than the 10 year average of 11.02 hospital admissions per 100,000 registered vessels. Marine incident data are subject to review and amendment as additional or more detailed information becomes available. This may result in variations to historical data which have previously been published. In July 2013 the Australian Maritime Safety Authority (AMSA) began implementing a new national law which results in all the domestic commercial vessels operating within the Commonwealth of Australia coming under the superintendence of a single national jurisdiction. This results in a structural break in the time series at 30 June 2013. The time series from 1 July 2005 to 30 June 2013 includes all marine fatalities which occurred in Queensland waters. From 1 July 2013 to 30 June 2017 the series includes fatalities which occurred as a result of marine incidents which involved at least one Queensland Regulated Ship. Fatalities 1 – All incidents occurring in Queensland waters up to 30 June 2013. Fatalities 2 – Incidents involving at least one Queensland Regulated Ship 1 July 2013 to 30 June 2017. In July 2013 the Australian Maritime Safety Authority (AMSA) began implementing a new national law which results in all the domestic commercial vessels operating within the Commonwealth of Australia coming under the superintendence of a single national jurisdiction. This results in a structural break in the time series at 30 June 2013. The time series from 1 July 2005 to 30 June 2013 includes all reported hospital admissions which occurred in Queensland waters. From 1 July 2013 to 30 June 2017 the series includes reported hospital admissions which occurred as a result of marine incidents which involved at least one Queensland regulated ship. Number of serious injuries from marine incidents 1 – All incidents occurring in Queensland waters up to 30 June 2013. Number of serious injuries from marine incidents 2 – Incidents involving at least one Queensland regulated ship 1 July 2013 to 30 June 2017.